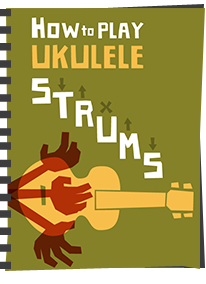 Ukulele nursery rhymes chords for parents with small children! I have been contacted recently about whether very young children like the ukulele, and what songs should a parent play. 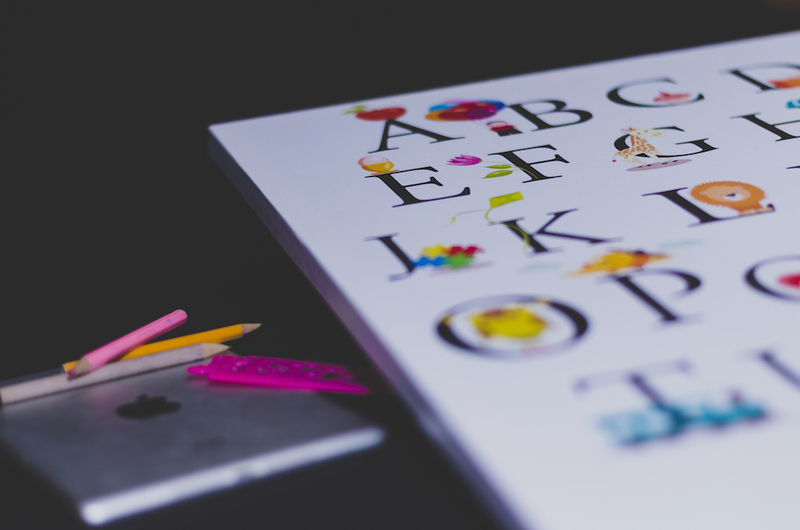 In my mind, singing nursery rhymes to young children is a wonderful way for a parent to bond with a child and is also great for those learning how to play this musical instrument. 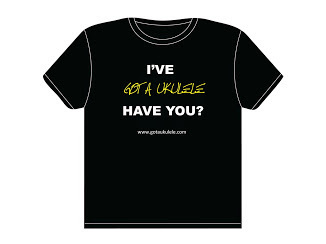 I am not saying you need a ukulele to do so (that is part of the beauty of the nursery rhyme, anyone can sing them) but, if you already have a ukulele and are starting to play it - then why not? But I think nursery rhymes also work as great practice pieces for new players regardless of having children. You see - Nursery Rhymes are, in their very nature, simple songs. As such, if you are a beginner ukulele player, simple songs are perfect to practice with. Simple strums, easy chords, well known tunes. Add to that the fact that you probably know the words and melody and you must be on to a winner. I have a very young daughter, and she beams the biggest smile you can imagine when some of these are played with a soft simple strum on the ukulele to accompany them. Have fun! 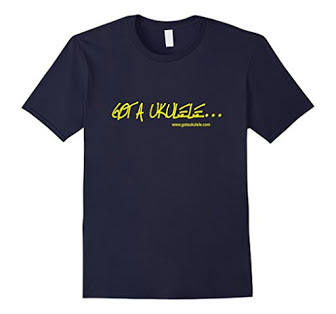 I WANT TO KEEP THIS CONTENT FREE - WHY NOT DONATE TO HELP KEEP 'GOT A UKULELE' GOING? London bridge is falling down, my fair lady. Take a key and lock her up, Lock her up, Lock her up. Take a key and lock her up, My fair lady. How will we build it up, . . . Build it up with silver and gold, . . .
Gold and silver I have none, . . . Build it up with needles and pins, . . .
Pins and needles bend and break, . . . Build it up with wood and clay, . . .
Wood and clay will wash away, . . . Build it up with stone so strong,_. . .
Stone so strong will last so long, . . . The one with the waggily tail. I do hope that doggie's for sale. And leave my poor sweetheart at home. The doggie will have a good home. With flashlights that shine in the dark. And scare them a- way with one bark. I don't want a bunny or a kitty. I don't want a parrot that talks. I don't want a bowl of little fishies. You can't take a goldfish for a walk. The Muffin Man, the Muffin Man? Old MacDonald had a farm, E-I-E-I- O! And on his farm he had some chicks, E-I-E-I- O! And he called for his fiddlers three. With King Cole and his fiddlers three. 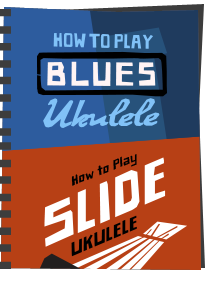 More Ukulele Nursery Rhymes on the links below! Seriously, thank you so much! All your work here is wonderful (the ebook too! ), but this is absolutely perfect. I'm learning uke to give my 10-month-old daughter even more music. She already loves hearing when my husband & I play the piano and when I sing. But she stops everything when she hears a guitar or uke on tv! I've got no kids but these will help me to learn to sing whilst playing which I struggle with but like you say everyone knows the words to these so I'm hoping this could help me. Have to wait till tomorrow now or the people in flat upstairs will think I'm crackers singing nursery rhymes at 10pm ! thanks minerwilly - good point. We all like Nursery Rhymes, and we all know the words and tunes well - hope it helps you! Thank You! I am so excited to have this. I played Twinkle Twinkle Little Star while my 2 1/2 yr old granddaughter sang along with me. It was "total joy". Now I'll practice up on the other songs and teach the little ones those too! Fun at Grandma's house! woo hoo, i am actually nearly playing a tune, twinkle twinkle little star, yyyesss come on!!! Inês, by all means. Share away! Really? 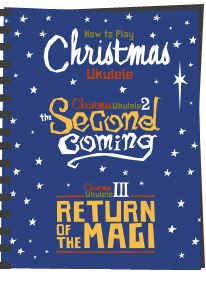 These use some of the simplest and most common chord sequences on uke. Keep at it! Thanks so much- very much a beginner so the sequences with c, f and g7 are my friends at the minute. Not looked at the other chords yet but great to have a couple of recognisable songs to work towards! Interesting. When I taught nursery school 25 years ago, I discovered that C, F, & G7 were all I needed for most songs. Now you've confirmed it. Way to go!! AHA! just what I was looking for! wanted something really simple for me and my son to learn together was going to work out the chords for myself, this has saved me quite alot of time! The G and G7 appear in so much popular music that they really are chords I would recommend you trying your best to master from day one. You won't progress too far avoiding a G.
The alternative on these songs is to transpose the chords up or down in pitch, but whilst that will remove the G, it will introduce other chords, harder to play that appear less frequently in popular songs so that would seem a bit counter productive. Also, in all the songs above you can easily substitute the G7 with a straight G and still get the tune. Sorry, but that doesn't avoid learning the G though! Practice, Practice, Practice. That's what you need to do. I know exactly how you feel. It's like riding on a rocking horse, you feel like you're riding for hours, but not getting past the finish line. It'll come, Keep at it. Just keep practicing the chord changes : C to G, G to F, then F to G again, & again, & again. I personally find the 'G7' chord easier than the 'G'. Practice : C to G7, then G7 to F, then F back to G7, then drop down to C. I sometimes find myself playing a 'G7' chord in place of the 'G' chord. KEEP AT IT. GOOD LUCK. i am abit more advanced with ukulele so i could play the chords but it was still fun my friend and i have made a vidio and we loads of fun while i play and we sing and especially when we noticed diffrences to the songs we know and guessing the songs we didn't know the tune too! but i know that some people have trouble with these chords but keep going soon they will be so easy and try to do it with a friend that way if you makem mistakes you can still have some laughs! Brilliant, but my Grumpson is only a week old. Any chance you have some lullabies please? Good stuff! Thanks. Any idea how the Father Finger song would go? Awesome. Just what I've been looking for. Struck gold! is it possible to buy part 1 of these books? Sorry - I don't understand what you mean? Which books? As a beginner I was having trouble with the G7 too until I cocked my wrist away from the fretboard. This allowed more room and freedom for my fingers to move. Hope that helps a little... it helped me A LOT when I tried it. Thank you so much. My 3 yo granddaughter will love this! 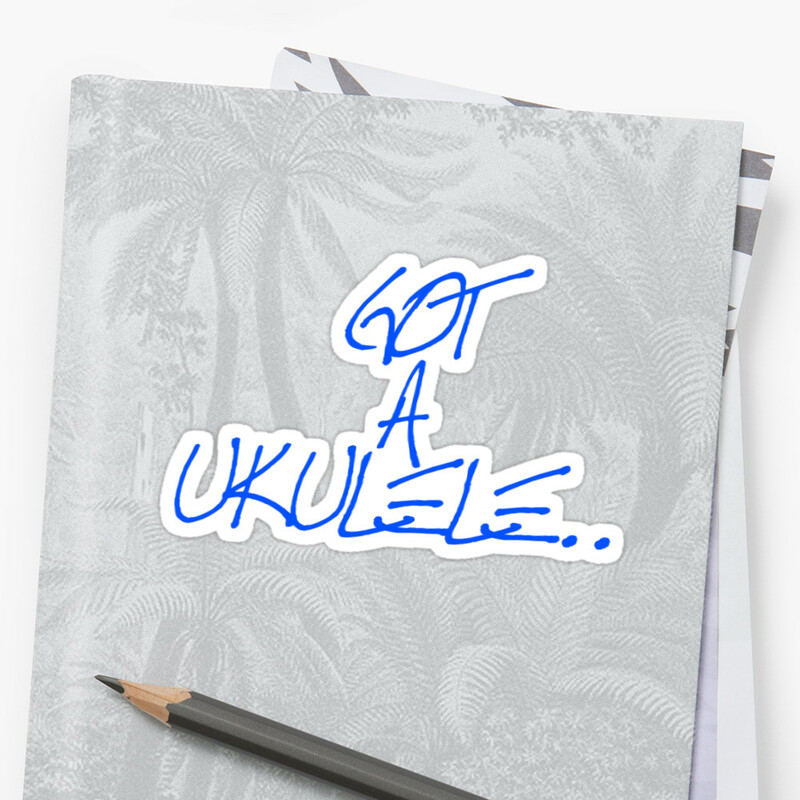 Mention the key words such as: ukulele, beginner, small children...and voila...you're the one I was looking for. I never got my hands on any instrument to focus on in my life. Am half a centenarian. I suddenly crave to be able to play a uke one day before an audience of little ones. I assist in a toddlers' program in our neighborhood at least once a week. I looked at different sites but I found what you put together-chords & songs simple for me to follow. Your labor is not in vain. Your words are an encouragement. The result is fun. You did a great job! Keep it up! So, thank you very much! Thanks for yet another excellent review. 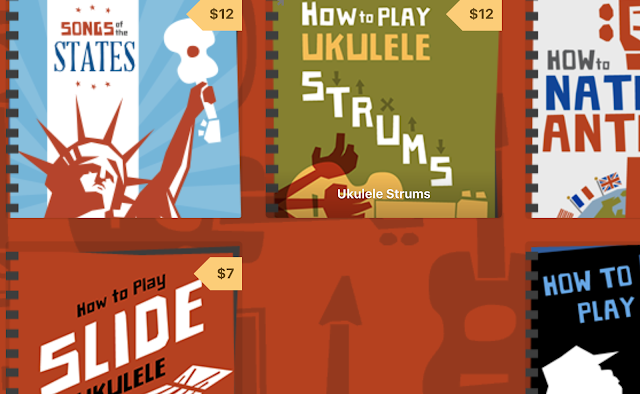 I'm now torn between the Dolphin and the Octopus as a "starter" ukulele! Also I have been considering the Luna Tattoo Pineapple although that is more expensive (relatively speaking) but am struggling to find a review of it. Any suggestions/comments would be welcome! Thank you so much for all the information and tips and reviews you are providing for all us newbies out here! VERY much appreciated! After hours on this site and reading your ebook compilation I've acquired an Octopus and now need to transpose my very rusty guitar skills to the uke. All seems a wee bit cramped at the moment but i'll persevere. I've always had a hankering to try one but the impetus came from having three-year old triplets who love music, singing & dancing. They seem fascinated and certainly aren't going to be a passive audience. Any tips on getting them started Barry? What were your experiences with your daughter? Thank Richard - re the kids - I say don't rush them. My daughter had a uke in her hands from the age of 2 and mainly just used it as a prop to let her pretend - she's 5 now and we are only just starting teaching chord shapes. Thanks for that Barry. By that time I should be fairly proficient! Just keep the website going and you'll get me there. Thanks so much! I thought Baa Baa Black Sheep and Twinkle, Twinkle, Little Star were the same melody? Got my ukulele last xmas as a present was so excited - spent ages practicing but slowly lost enthusiasm and felt frustrated I wasn't getting very far - then didn't play for quite some months - Today I picked it up strummed a bit then googled for help - and found your rhymes and music - I'm so thrilled It was so lovely and I was able to play - slowly but still could follow - the music and sing along - I'm over the moon.....Many many thanks Barry just perfect for me - I'm not a youngster I'm 69 but just love the rhymes and feel all enthusiastic again Yay!!! Glad they helped - people called me crazy to suggest these were good for beginners - but the logic is sound - most people know the words, most people know the words, most people know the words - so there are three things you don't need to battle with! Thanks Barry!!!!!!!!!!!!!!!!!! You and these comments helped SSOOOOOOOOOOOOO much!!!!!!!!!!!!! My new uke is sick af!!!!!!!!!!!! These songs are super gr8 to get down to, str8 FIRRREEEEEEEEEEE! I play them at sick parties theyre a big hit with the youngins! even the teens have a blast jammin along! Im totes gonna have to share these with my squad! Thanks again its lit!!!! I am a beginner myself. Been practicing and loving my uke for 2 months now. As a suggestion, you may want to look up for familiar songs and search the chords over the net. look for easy ones, also you can find tutorials on youtube. Thanks Barry!!! these nursery ryhmes are fantastic! thank you so much for this!! i was looking for chords to play for my early intervention kids. I have just picked up ukulele and still struggling with strumming patterns. any suggestion for a suitable strumming patter? i assume this is 3/4? Seriously - focussing on strumming patterns is about the worst thing you can do when learning - concentrate on basic up down rhythm and more importantly - playing in time. Patterns only give a feel and interpretation to the song - so totally subjective. Just played Twinkle Twinkle to get my 8 month old son off to sleep and noticed my comment from 6 years ago! How times have changed , been neglecting my uke but the baby has given me an excuse to dig them out again ! Just been reading some of your recent uke reviews and already I want more .... Argggh. Thanks for this! I just found it via Google search. I've been playing the uke for a few years after picking up the guitar in 2008. Tomorrow, my wife and I are helping out for the first time with the 4 to 7 year old children's Sunday school during church. The curriculum suggests a song about Noah to the tune of old MacDonald. So, thanks for this. I did find I had some music for our grandkids that suggested C,F,G7 for that tune. I find that a bit easier to sing and play. Some people here mentioned difficult with cords, but it all comes with practice. I sometimes blog about uke's on my website: henrywill4.com - helpful info there. I'll try to find time to blog about this site there as I've been playing for my grandchildren too! With Nursery Rhymes (in fact with any music) it's whatever feels best and comfortable. You can't really go wrong with nursery rhymes any way. Keep it lively! Is there a minimum age for kids learning to actually play the ukelele? I am a PreK Teacher and my kids LOVE music time!!! Some days I hand out invisible pretend ukuleles and they “play” with me. Thank you for making these nursery rhymes so easy to play! !